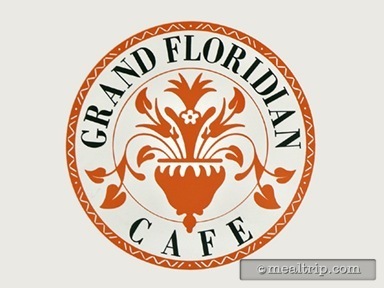 Lunch time at the Grand Floridian Cafe is brief, with reservations spanning from 11:30am until 2:00pm. The Victorian themed room is the Grand Floridian Resort’s casual, table-service location and is located on the first floor of the resort. The cuisine could be described as "American Clubhouse Classics" with various salads, sandwiches, and pasta dishes filling the menu.